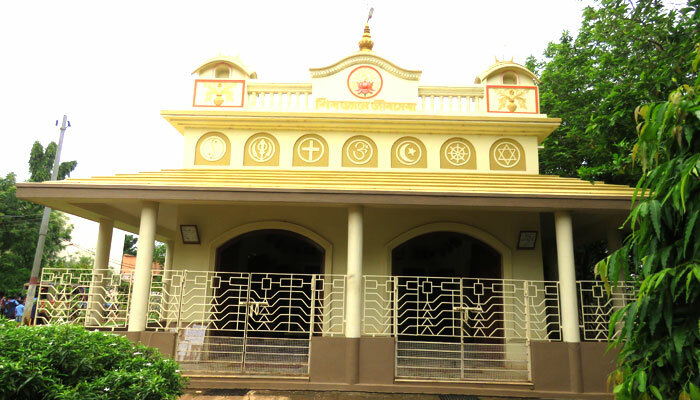 This organization (NGO) was established in the year 1984 through the great inspiration of Swami Amaeyanandaji Maharaj, Adhaskhya, Matri Mandir, Joyrambati, Bankura. We are much indebted to him. 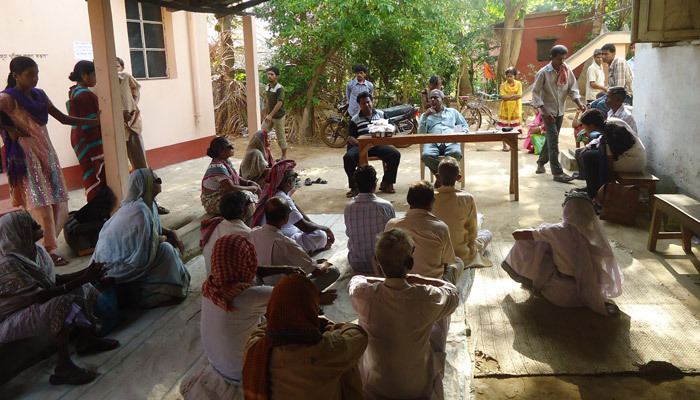 It is a Non-Govt, Voluntary Organization under Register of Societies Act-1961 vide no. 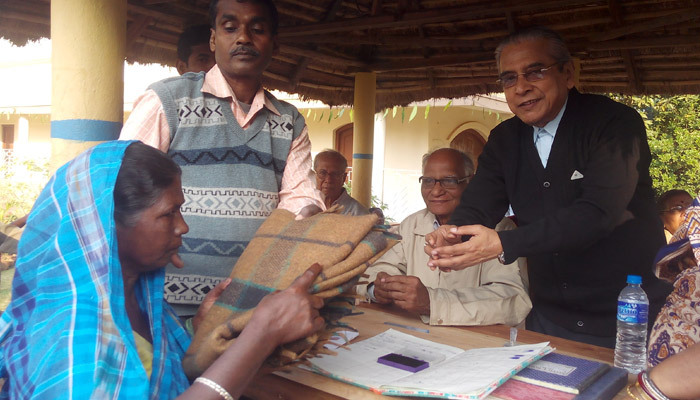 S/IL/60086 and we depend on the charity of the generous people of India and abroad for our various types of charitable & welfare activities for the distressed and helpless. 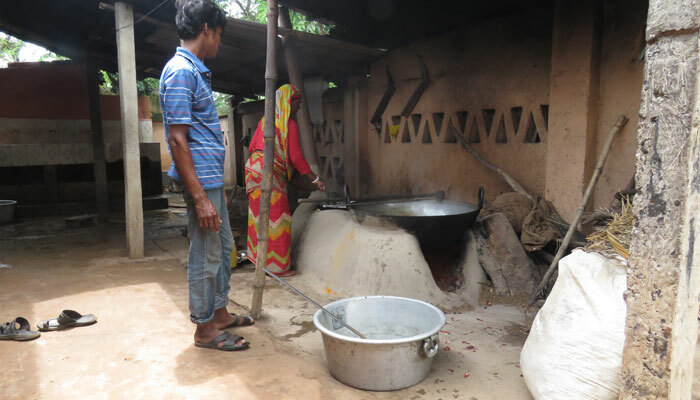 Hijaldiha Vivekananda Seva Samity is located in a remote village at Hijaldiha under Moynapur Gram Panchayet in Joypur block of Bishnupur sub-division in Bankura district (West Bengal). The distance of Joyrambati and Kamarpukur from Hijaldiha is about 18 Kms and 22 Kms respectively. 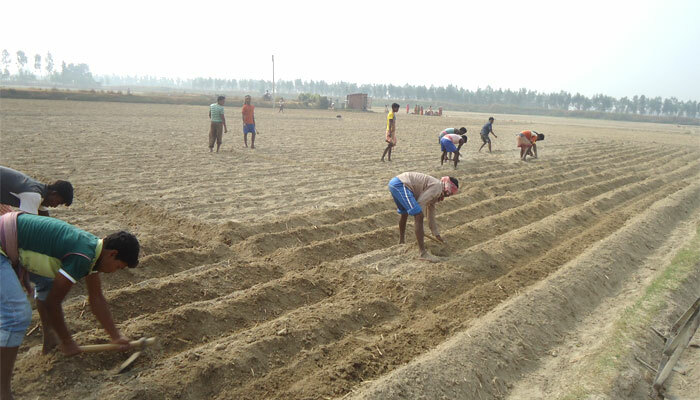 The Samity is now situated on about 3 (three) acres of own land beside the road near bus stop. 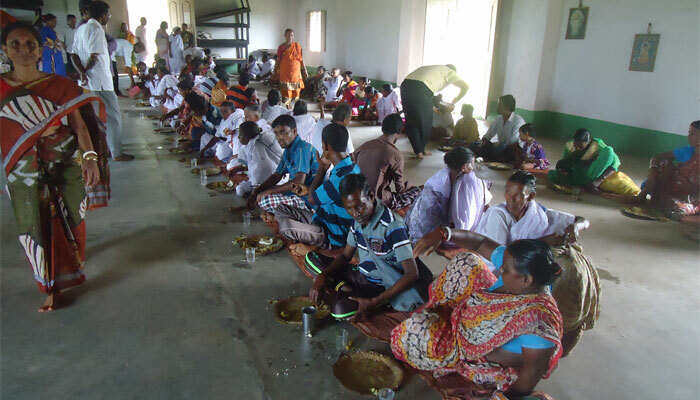 In this adverse situation this Asmama took up the, responsibility to conquer the natural challenges through human development and social service under the effective guidance of the inspiring Hindu monk Swami Vivekananda, Sri Ramakrishna and Sri Ma Sarada Devi, the motto being “To Serve God is to serve man”. Very little has been done so far because of our limited resources and inabilities but we are very firm on this resolve “We shall overcome someday". Swami Vivekananda's great teaching of service and renunciation are our guiding star. 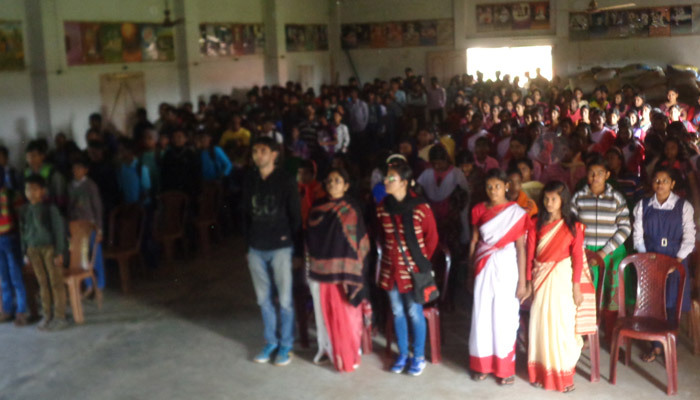 The Samity was organized by a group of dedicated youths to fulfill the spirit of unselfish service to the poor and ailing villagers and to work for the all round development of the remote villages & common mass. Since its establishment the Samity has been rendering various types of social services having inspired with the ideology "Service to mankind is service to God" and "Work is worship" preached by Swami Vivekananda and his great master Thakur Sri Ramakrishna. For the smooth running of the Seva Samity and its eleven departments like Education, Medical Treatment, Magazine, Building, Student Welfare, Rural Development, Sanitation, Agriculture, Puja, Cultural and Ramakrishna Vivekananda Bhab Prachar Parisad, one advisory board, one managing committee and eleven sub-committees used to meet 36 times as and when necessary during the whole year. 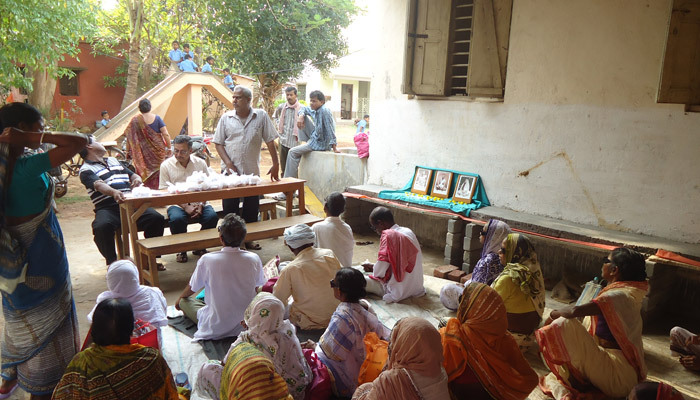 At present this Ashrama is conducting multiple Social Activities such as basis medical services, education (Primary School Coaching Centres etc.) 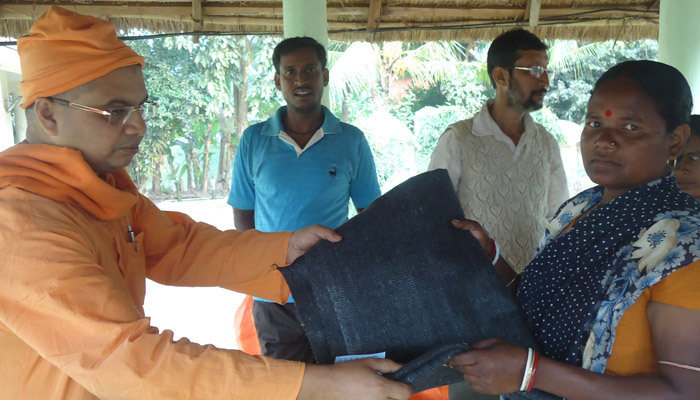 and Pallimangal to enhance the income of women. In the near future this Ashrama plans to construct an Eye Operation Theatre for cataract operation and start a school in the idea of Gurukul to impert education with special stress on the moral and ethical values for the next generation. 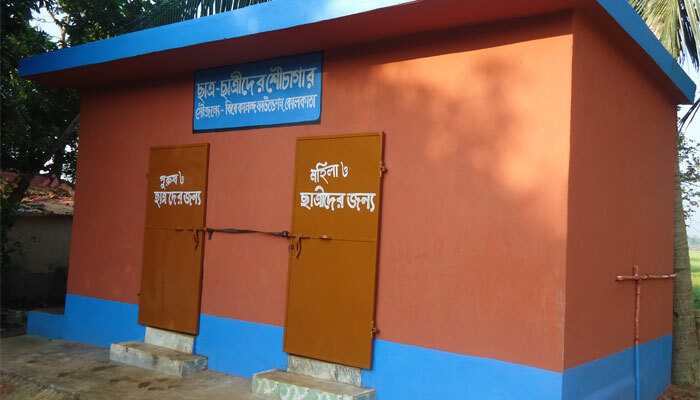 With all humility, we would submit that ours is a modest service centre (Seva Samity) built little by little over a span of last three straight decades and more running and it is situated here at Hijaldiha village which is at distance of about 18 km west of Matri Kandir Joyrambati - the holy abode of our Divine Mother, Sarada Devi. In our school days, inspired by the fiery power and personality of our Hero, Swami Vivekananda and enthused by the unique vision unfolded by Him as to what staggering heights human lives could be lifted through self-less, ceaseless service to humanity as embodiment of divinity, we took the plunge and decided to dedicate ourselves to this cause in whatever way we could. Way back in the year 1980, we, barely half a dozen local youth, began our endeavour in a small little hut here at Hijaldiha village with absolutely nothing to fall back upon except for our boundless enthusiasm and the burning desire to live up to the ideal set for the youth by Swami – “ He alone lives who lives for others.” The journey has never been a cake walk but hard and uphill all along. 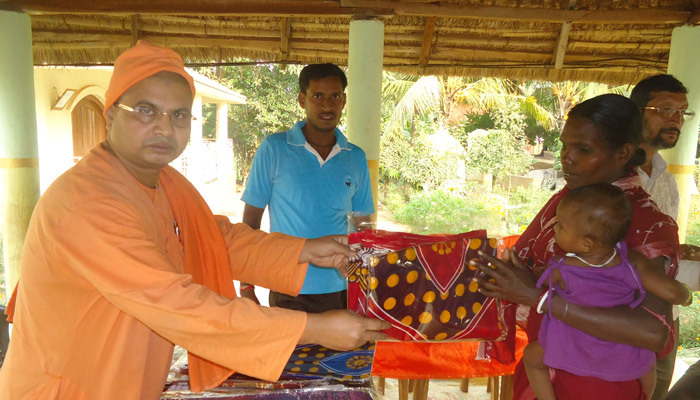 By the grace of Thakur, Ma and Swamiji, blessings of gracious Monks and Nuns of the Ramakrishna Order and Sarada Peeth and a few kind-hearted institutions and individuals we have never let up and struggled on in the face of woefully inadequate money men and material support to bring to fruition our desired goals. 1)	A school named Ma Sarada Sishu Niketan starting from Nursery up to standard IV th is successfully running for the last long 18 years. 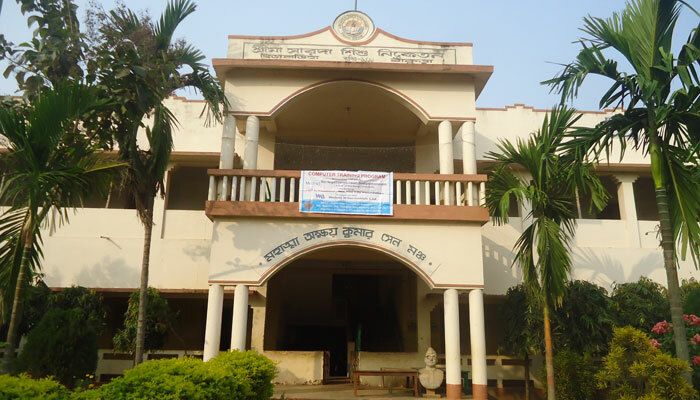 The school has a strength of 240 students on its attendance register and with the operation of mid-day-meal scheme the attendance is 100 percent on any given day. The school has gained remarkable reputation for its quality of teachings and also, for its value-based curricula adopted. 2)	The school exclusively for Adivasi Girls : On a note of pardonable pride, may we be allowed to add that with a great deal of sustained effort, we have launched a school only for Adivasi girls. 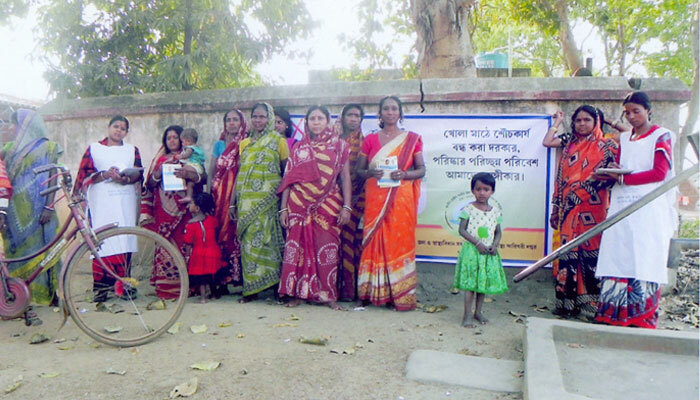 They all belong to Scheduled Tribe community and have had no exposure to literacy for successive generation. 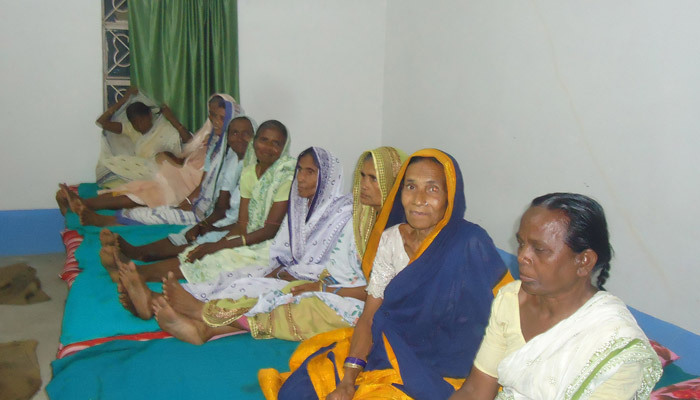 50 such students attend classes regularly and it is absolutely free-of-charge. It has come to be noted that students pursuing their studies at different school in nearby villages are not getting able and appropriate guidance and assistance in their chosen subjects and are lagging behind others. In view of it, we have set up free coaching centres at twentydifferent places at convenient places for students and there are 20 such coaching centres in running mode benefitting the students like never before. 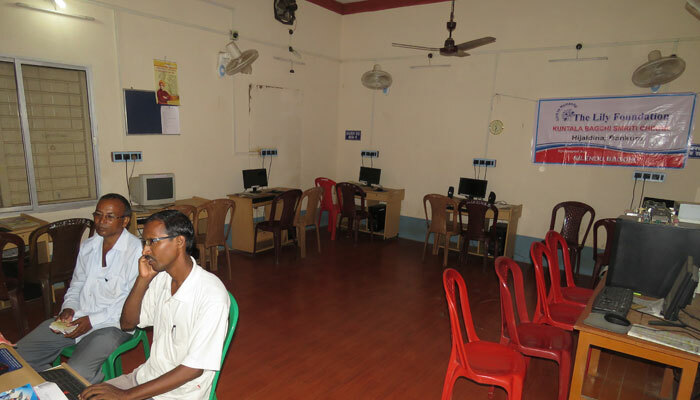 Beside acasemics, classes for gaining proficiency in use of computers are also provided for. 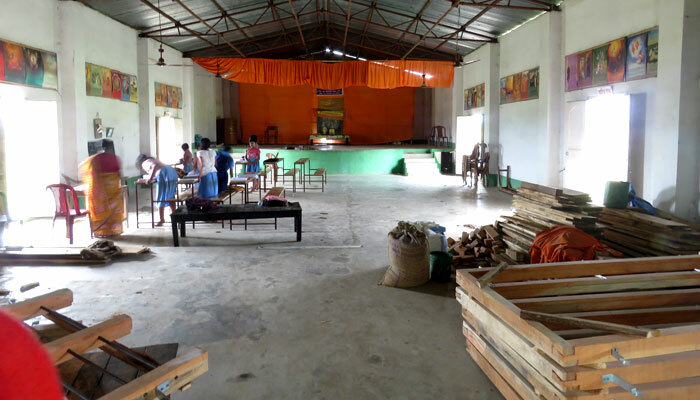 25 students attend each such centre and thus the number of students covering all of twenty such centres add up to 500 inclusive of students of classes IX th and X th. 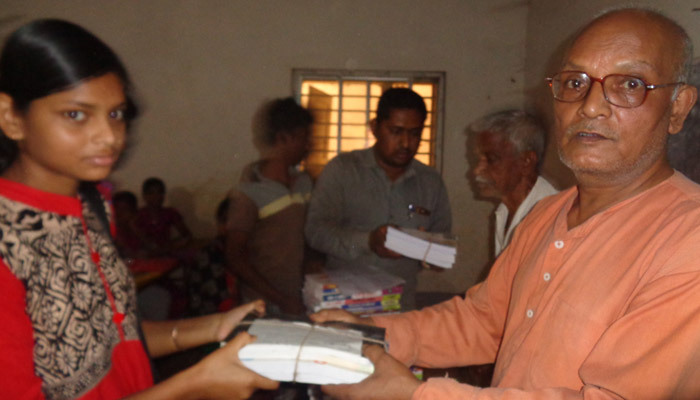 On strength of financial sponsorship extended by a few reputed charitable institutions as well as Donors aboroad, we arrange for making available such scholarship and stipend to genuinely needy and meritorious students who are painstakingly screened for ascertain their eligibility. We are happy to note that till date a total number of 300 students – a good many girl students as well- are pursuing their professional courses in engineering and medicine in premier Government-run centres of excellence around the country. They all have proved their mettle and quite a few on completion of their courses have earned a mark of distinction as a professionals of repute and are employed very satisfactorily. br> Book-bank facility is also available and next and reference books are out to students for sufficient length of time for studies at home. We are grateful for the fact that a few benevolent persons came to be persuaded by our earnest appeal for setting up of a hostel strictly for utterly destitute children who having lost either or both their parents and have no one to turn to for sheer survival. 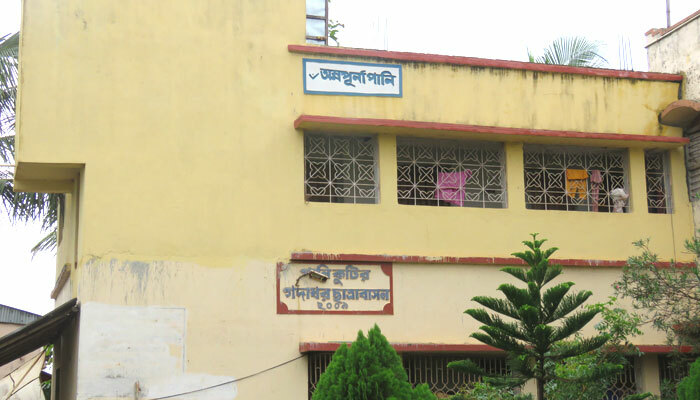 With tears of joy we submit that in the year 2006, this hostel named after Thakur-Gadadhar Chhatra Aabas has come up with painstaking perseverance on our part. 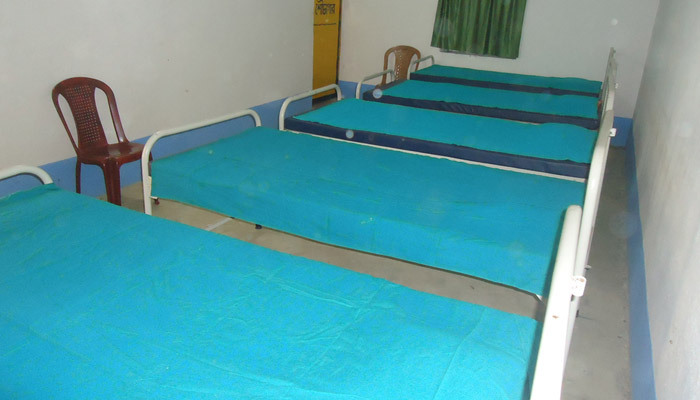 Right now, a total number of 17 students reside in this hostel and every single need of theirs be it food, school dress, health care, provision for private tutor, recreation is taken care of. There is a crying need for such accommodation from many such students but we are helpless on account of paucity of fund. 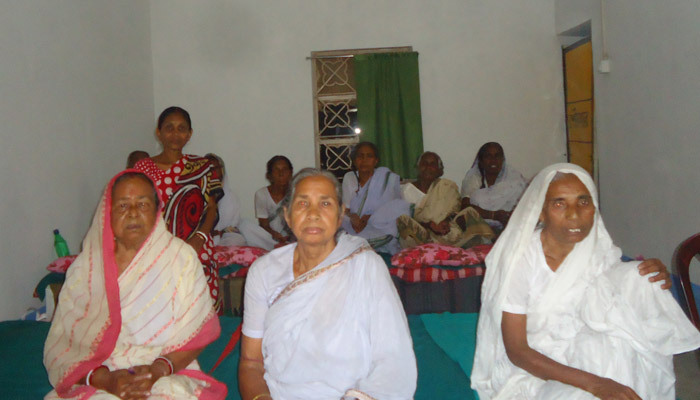 Arrangement to the extent permitted by our very limited fund position have been made by us to impart vocational and job-oriented training to the women and the weaker sections. 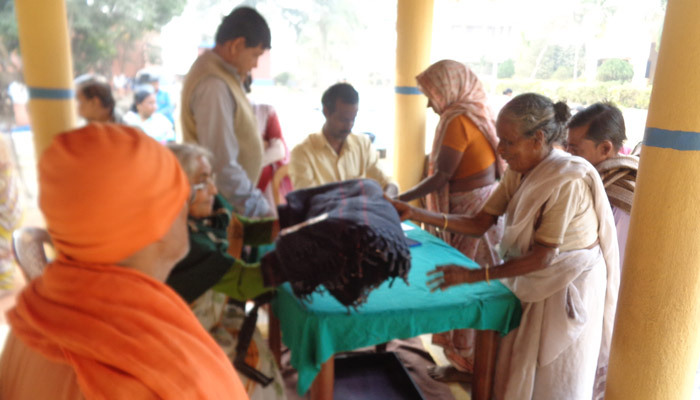 This includes training and skill development in diverse areas like tailoring, embroidery stitching, beautician course, mobile repair making of baluchari sarees, computer proficiency classes are held on a regular basis and so far 100 such women have thus been benefitted so far. In conjunction with our tenacity and dedicated efforts to the cause of education and reaching it out to those who need it the most, we feel that we cannot miss out on the health-care front as well. 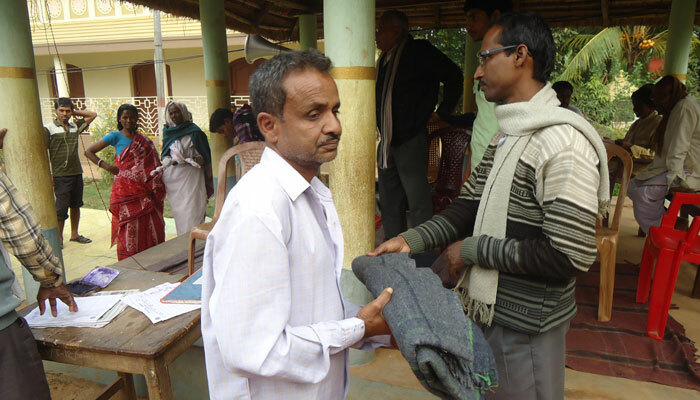 We note with shock and sadness the lack of basic and accessible health –care for a many people living on the margins especially in back-of beyond villages . Many people are simply ignorant of the basics of health care and tragically seen to be dying avoidable deaths. Even students are compelled to give up studies mid-way for reasons of their inability to cover the expenses for a medical emergency in many cases eye-related ailments. 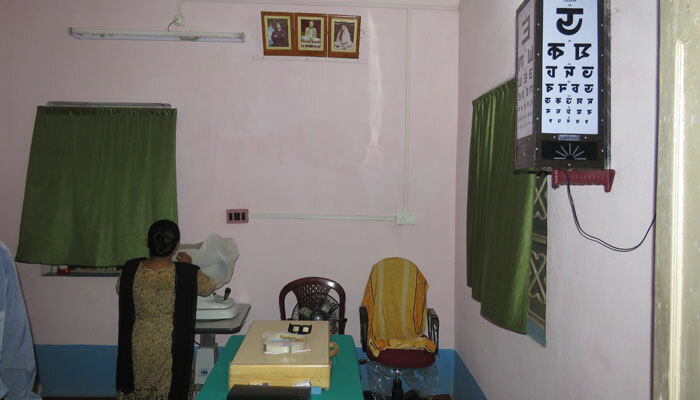 Against the backdrop of this state-of-affairs prevailing we sought out help and a Ne Indor based philanthropic institution helped out in the setting up of a modest eye-surgery facility inside our Ashrama. 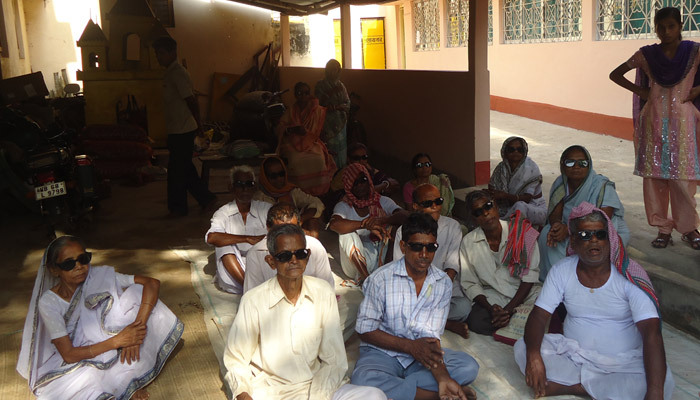 We have engaged specialist doctors to see and screen patients for advice and in cases where necessary do the operation in cataract removal. This is done free-of-charge and the expenses are barely bearable and we are not yet in a position to purchase a pheco machined to facilitate advanced much easier and a lot less painful surgical interference. Therefore, there is an immediate need for having an in-house pheco facility and its absence in the present moment is felt to be a huge handicap. 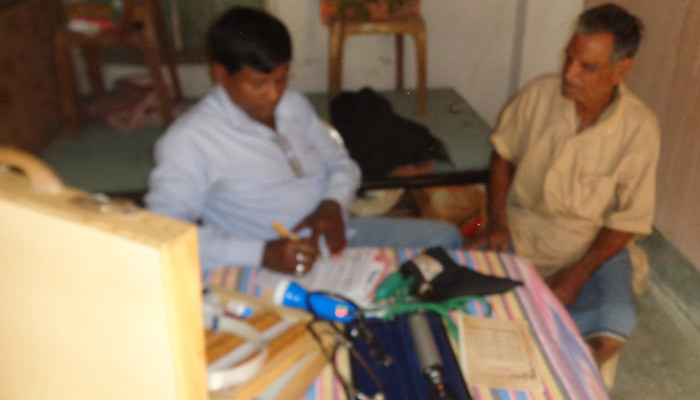 We are trying very hard for enrolment under RSVY but our effort are not fructuous as yet. 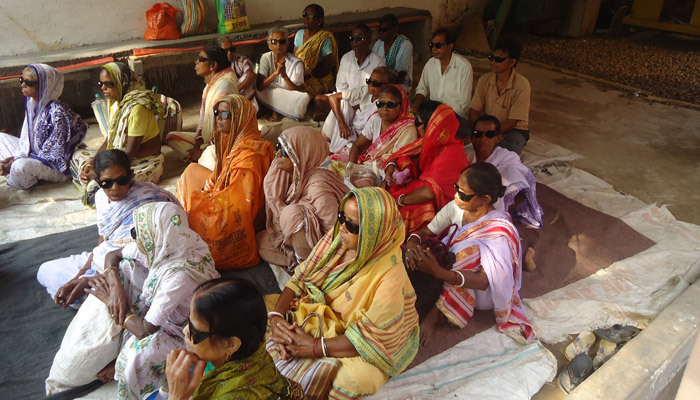 On the positive side though, we are happy to inform you that 1400 persons including a good many women of very poor background have been successfully operated upon and related medicines and brand-new spectacles are given and post-operative care is also provided for. 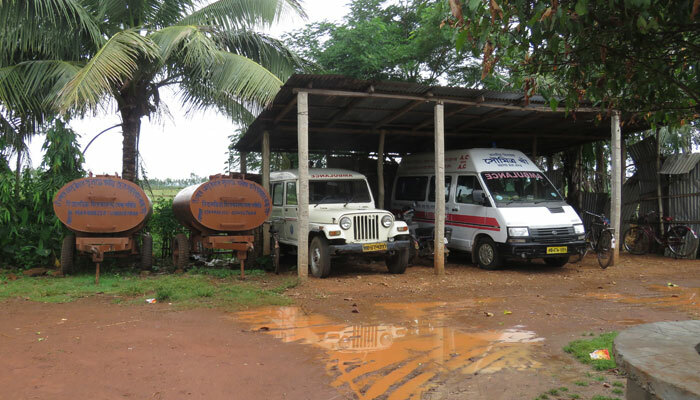 In addition, we run a dispensary round-the-year where MBBS doctors cater to the need of outdoor patients and free consultation and medicines are given to the patients. Finally and pre-eminently the fact that needs to be underscored is the fact that our seva Samity has spirituality as taught by Thakur-Ma-Swamiji at its core and it is, in essence, a Seva –Ashram. Thakur is the source and sustenance of all our seva attempts and endeavours and end-of-day we all surrender before Him. Our spiritual calendar includes daily puja in the shrine, observance of birth anniversary of the Trio and special attraction is our annual Jagatdhatri puja which is observed with due solemnity and compliance with spiritual traditions. 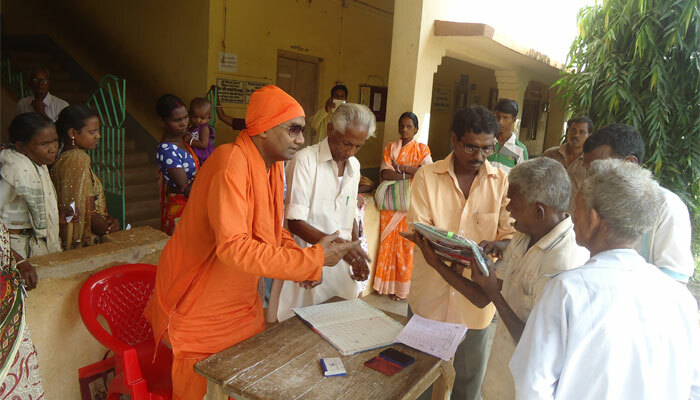 We are not political workers or social do-gooders but only foot soldiers who try and serve the noble cause of Shiva Jnane Jiva Seva as mandated y Swamiji. 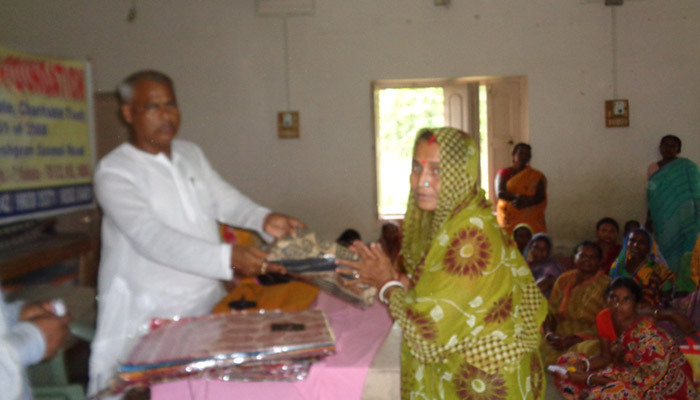 It is in appreciation of this on-going wide range of activities that we approach you with all humility and make an earnest appeal that because of the fact that our Seva Samity survives and runs solely and stricty on strength of financial support and assistance of considerate and kind- hearted donors and devotees, may you spare a thoug tear and win a smile “ of “ Gods playing fool as men (and women)”. 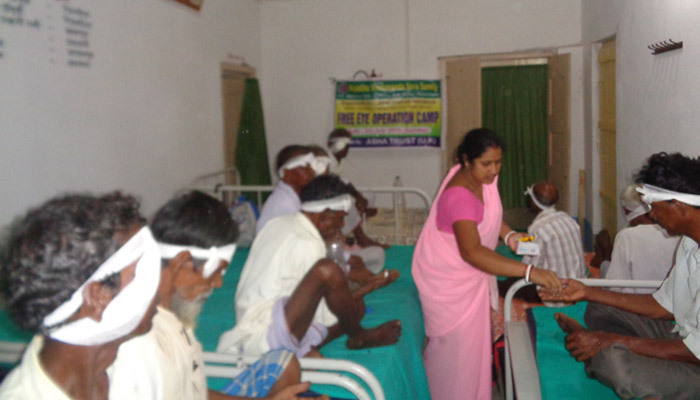 Hijaldiha Vivekananda Seva Samity has set up an eye care facility within the complex. Cataracts operation of poor patients are done free of cost. 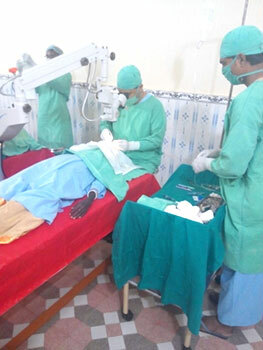 So far we have operated 1000 patients. 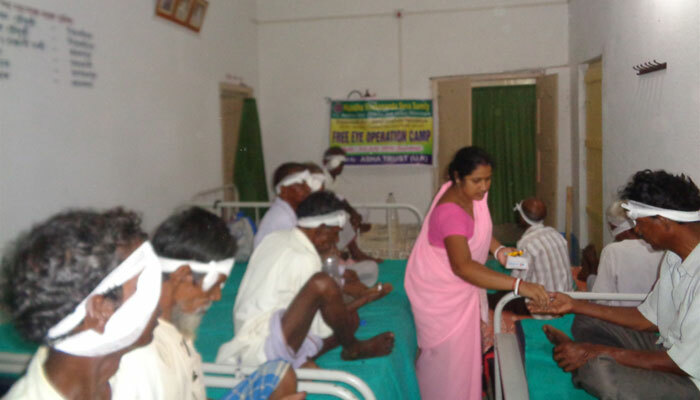 There is a high demand among patients for Phaco surgery. The cost of a Phaco machine is about Rs. 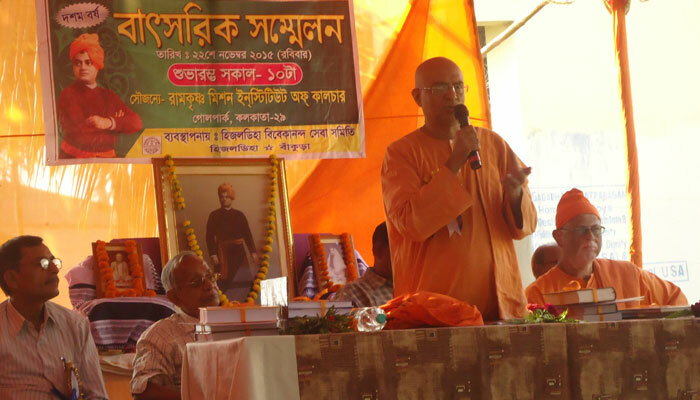 12 lacs, we earnestly appeal to high souled individuals, trusts to donate the amount or part of their remittance can be made to the Bank Account, Fund Transfer or Cheques in favor of Hijaldiha Vivekananda Seva Samity to the Secretary, Hijaldiha Vivekananda Seva Samity, Vill+P.O- Hijaldiha, Dist- Bankura, Pin 722138, West Bengal, India. The donation is free of IT under section 80 G. Our PAN No- AAAAH1978F . Names of donors will be prominently displayed in the Samity complex. 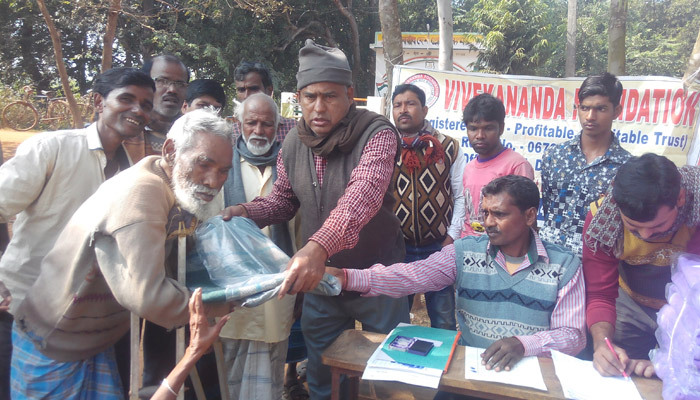 Hijaldiha Vivekananda Seva Samity is a reputable charitable organization set up in 1984 in a remote village in the district Bankura to work among the poor in the spirit ‘Service to man is service to God’ as preached by Swami Vivekananda, whose ideals have inspired us in this philanthropic venture. 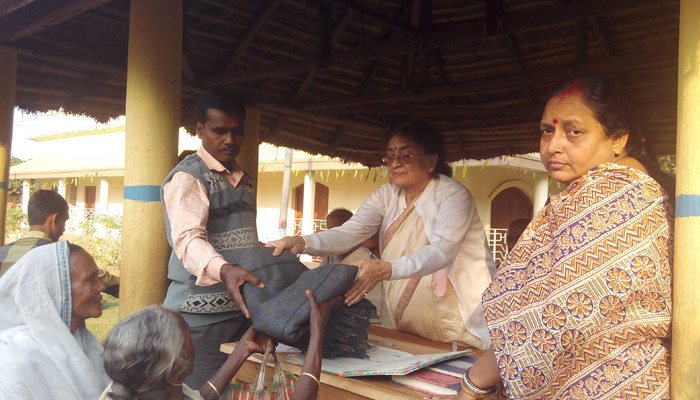 Since its inception Hijaldiha Vivekananda Seva Samity is engaged in a number of social works in the field of education, health and training for development of human resources. 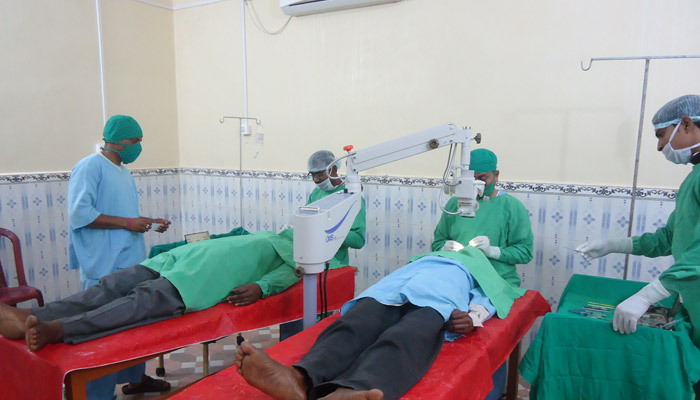 Recently we have opted for opening one medical unit for total care of eye diseases, especially micro surgery of cataracts. It will serve the purposes of a health centre also with a pathological Labrotary. The hospital building is almost complete with generous public assistance, but for furnishing the OT and purchasing surgery instruments we require about 15 lacs. We appeal to benevolent people from all quarters to extend their hand of co-operation in this noble venture of restoring sights to those who may otherwise become blind in future. 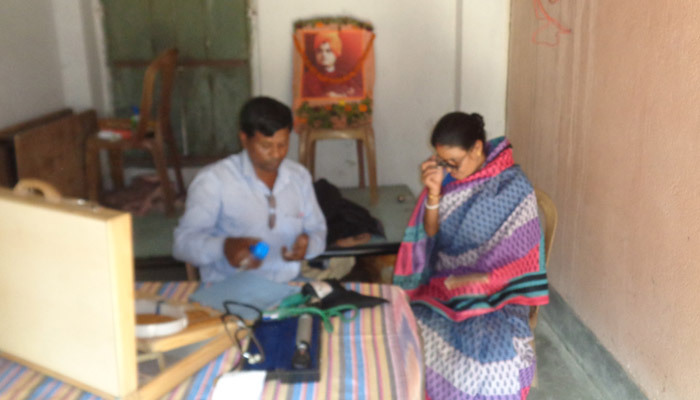 The health centre will render medical services for general diseases also in this rural area. 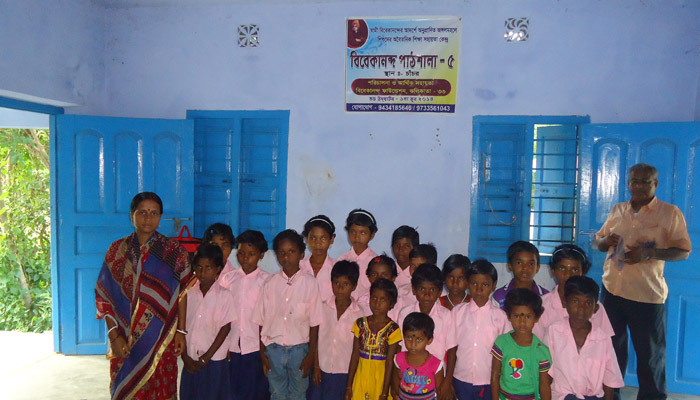 In our endeavour to cater to the needs of education to uplift the less privileged members of our society the Samity maintains Gadadhar Chhatrabas an orphanage of fifteen destitute children. 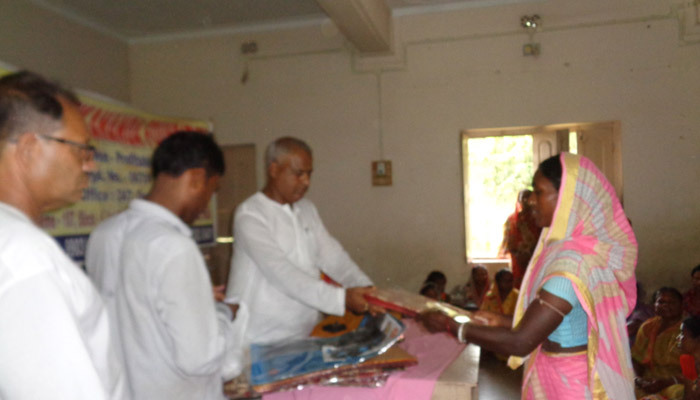 We provide them food and loading, education, dresses and all other necessities free of cost. The monthly expenditure per student is 3000/-. You are requested to extend your Co-operation by donating at least one month’s expenditure for one or more and thus play a meaningful role of a part sponsor’ for these deprived students. We appeal all and Sunday to come forward with generous help in cash or kind for the above projects which will fulfill urgent needs of the deprived section of people in this remote are. 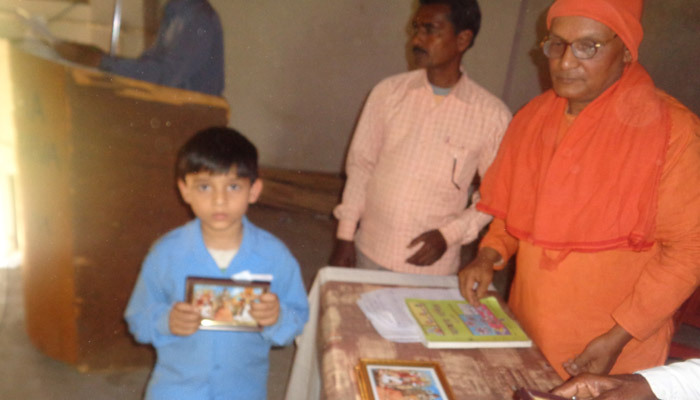 Copyright ©2016 Hijaldiha Vivekananda Seva Samity. All Rights Reserved.